Unique to ENTRON. 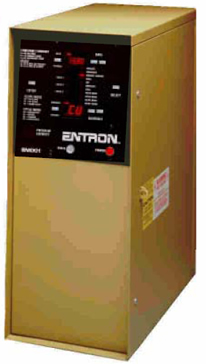 All EN1000 Cascade/Multi-Valve Controls and cabinets feature provisions for field installation or change of circuit breakers. Performs both Cascade and Multi- Valve operations. Store as many as 13 parameters in each of 100 unique schedules. Push buttons and a short three-step procedure make easy work of programming any possible welding schedule. Simplified design significantly reduces production costs which are passed on to you. Each unit is tested to its maximum capability to assure performance at customary operating levels. 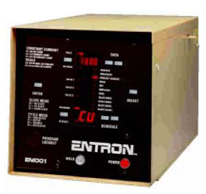 ENTRON - the only resistance welding controls with the excellent performance history. Design simplicity is the key to our ability to manufacture the highest quality weld control with the best delivery, least maintenance, and lowest out-of-warranty service in the industry. 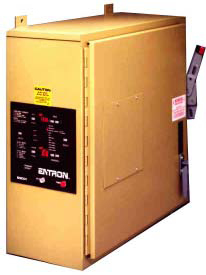 ENTRON can provide retrofit controls suitable for any manufacturer's controls of any age, type or sequence for installation in the field. EN1000 Cascade/Multi-Valve Controls can be applied to mat welders, pass-through welders, special machines, robotic equipment for welding materials of unequal thickness and coated materials. Available in D, T, L, H, G, U cabinet styles with front or sidemounted control panels. 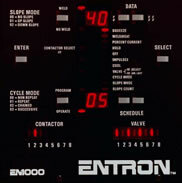 Entron Controls, do not weld without them!